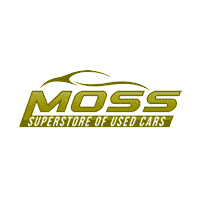 If you’re looking to secure a quality pre-owned vehicle but are worried a past bankruptcy filing will stand in your way, head to Moss Superstore in Lafayette, Louisiana today! We have a professional finance department that will explain the loan application process and provide you with one-on-one assistance should you decide to apply for bad credit financing. We’ve helped many drivers understand their credit score and the factors that helped contribute to their unique rating, and we’ll work diligently to ensure you’re securing competitive loan terms that fall well within your budget. With payment history accounting for 35% of your score and amounts owned 30%. Our professional team will review this information and how it has impacted your rating so that you know how to improve it in the future. Scores fall within a set range of 300-850, with anything below 619 being considered low and anything less than 499 “bad.” With help from our pre-owned dealership, you can qualify for sub-prime auto loans while gaining a better understanding of your unique financial situation, so don’t hesitate to reach out to us now! While working with our many lenders. Our pre-owned dealership near New Iberia, Louisiana has a high rate of approval when it comes to securing sub-prime auto loans, and we are eager to bring our knowledge and expertise to your credit request! Moss Superstore believes that all drivers should have access to professional loan assistance from a team that cares about your well-being, so don’t hesitate to contact our Lafayette, LA team today!